A satirical opera about the discovery of the ultimate equation that describes everything in the Universe, the mysterious outbreak of a worldwide epidemic of non-violence, love, and kindness that this discovery triggers, and the threat this poses to the people in power. It is also the tale of a mathematician who must discover the power of love to save himself and the world. When Norm, a mathematician, substitutes musical notes for the numbers of the Fibonacci Series, a remarkable mathematical set that underlies much of Nature, and uploads the music to the Internet, all hell breaks loose. The music affects anyone who listens to it. Soldiers stop fighting, millions leave their dreary jobs, everyone starts caring for everyone else. To the military-corporate-political establishment it’s Armageddon, an attack on its very existence. Norm becomes a fugitive, running from people who either want him dead, or want to turn his musical code into a weapon. He is saved in the nick of time by Athena, a kind waitress in a Souvlaki joint, with whom he falls in love, not realizing that she is the goddess Athena, the Greek goddess of wisdom. When the FBI shoots Athena by mistake, Norm is devastated (not realizing that you can’t really shoot a goddess). It takes the rest of the opera for him to realize Athena’s identity, and the lesson she came to teach him, namely that you cannot encapsulate life with your mind alone, because the true perfection of the universe lies precisely in the things that don’t fit, in the “loose ends of our lives”. Norm becomes a composer and is writing the very opera that we are watching on stage. The music was generated from Fibonacci series numbers, making what we see on stage mimic the actual process of my composing of the opera. 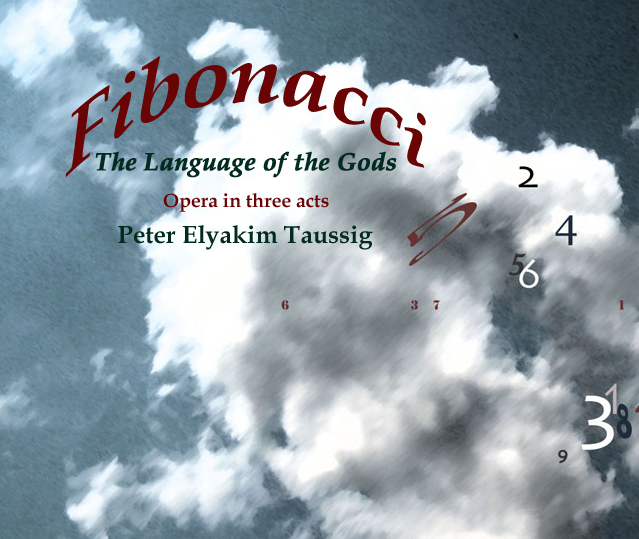 Surprisingly, the pure mathematics of the Fibonacci numbers produces music that is both varied and melodic. Why this should be so is described in an article you may enjoy if you like mathematics like me. Orchestration: Can be performed with orchestra and rock band, or with prerecorded sound.